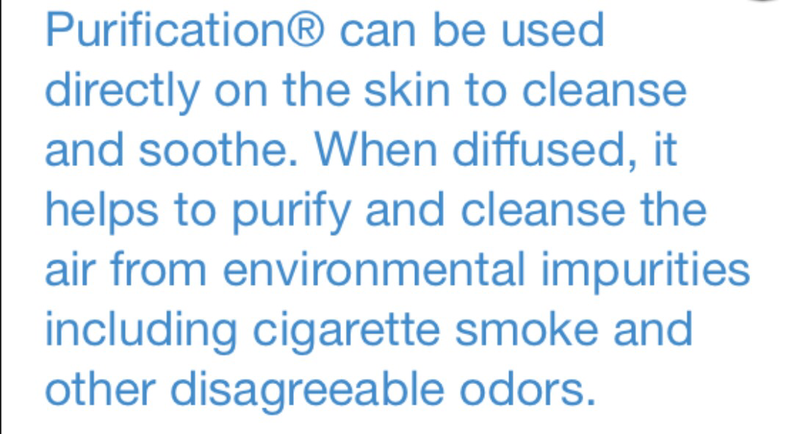 Strangely enough, Purification was my first Oil I bought when my sister, Michele joined Young Living. Claiming to rid the air of odor, leaving a fresh clean scent, I wanted this oil. At the time, I was cooking quite frequently with fresh onion and garlic, and while I loved the taste of my culinary excursions, my house was left with the scent of my meals for days. Tired of room sprays that fill the air with toxic chemicals, I bought this oil and my first Diffuser. To use, I added 7 Drops of Purification to Young Living’s Home diffuser and after about and hour, those cooking odors were gone. I mean, they were gone. The odors weren’t masked and my home was left smelling more fresh then what I did before. This oil is my go to oil for any project I want to clean and freshen. Purification is an essential oil blend containing Citronella, Rosemary, Lemongrass, Tea Tree, Lavandin, and Myrtle and the uses can be endless. Aside from diffusing to freshen the air, I’ve added this oil to my carpet steam cleaner. I make a spray using distilled water and Purification. My favorite use by far is a homemade carpet freshener and kitty little freshener using one cup of baking soda and 10 Drops of Purification. I mix this combination and add to a shaker. No more kitty litter stink in my home. Have any ideas you would like to share with me? I’d love to hear them! You can find Young Living Essential Oils and diffusers by clicking Here. You can chose to be a retail customer or receive all your oils at a discount by purchasing the premium starter kit. No need to sell, ever!